Beach Club BCLB308C, 2 Bedrooms, 2 Bathrooms, Sleeps 6. Come relax at one of the best resorts in the area - THE BEACH CLUB in Gulf Shores. Welcome to The Club Level - as a guest, you deserve the very finest for your vacation. The Club Level offers just that - now featuring our Hotel Collection Linens. You will be welcomed at bedtime with a down alternative comforter enveloped in crisp white sheets giving you the same look and feel of a luxury hotel (but with the comforts of home) along with upgraded toiletries. The Club Level also provides free unlimited movies through Netflix. No Check In required for The Club Level - go directly to your unit and start enjoying your vacation as soon as you arrive! This Condo has a breathtaking view of the ocean from the private balcony on the 3rd floor. Convenient to stairs or elevators - so it's great for families! 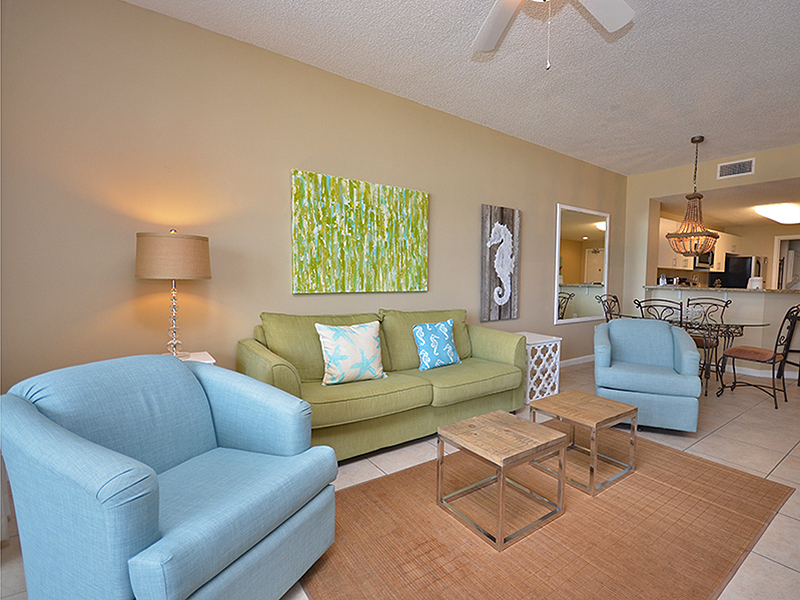 This two bedroom unit features a king bed in each bedroom - like having 2 master suites! The beautiful Catalina pool and boardwalk to the beach is just at the foot of the tower, but you may want to visit The Club House. A small daily fee allows your entire party to utilize all the amenities for the days you choose, payable at the Club Desk (fees apply for fitness center, indoor pool and tennis courts).